The owner of a Winnipeg gym says he’s more worried for his clients than his business after a fire tore through the fitness facility Sunday morning. 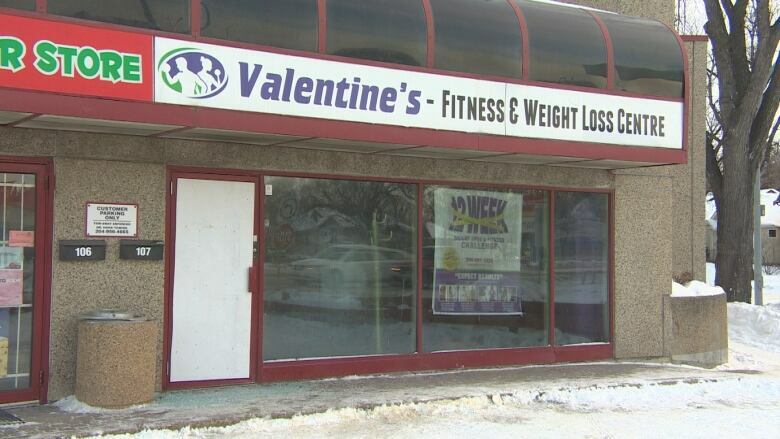 Fire crews were called to Valentine’s Fitness and Weight Loss Centre on Portage Avenue and Lenore Street just before 8 a.m. Owner Valentine Payne tells CBC fire investigators told him the blaze was likely caused by a malfunctioning fan in the men’s change room. “It started the fire and spread through the gym,” he said later in the day Sunday. Payne says the business, which he opened four years ago, could be closed for a month while the space gets cleaned up. He’s worried that will be hard on his clients. “Right now I have over 80 clients that come here on a daily basis and I’m putting on a weight loss challenge,” he said. Payne says fire crews told him a pipe burst during the fire, which likely helped save the business from further damage.